The Best Haskell Programming Blogs from thousands of Haskell Programming blogs on the web using search and social metrics. Subscribe to these websites because they are actively working to educate, inspire, and empower their readers with frequent updates and high-quality information. Haskell Programming newsletter is a comprehensive summary of the day's most important blog posts and news articles from the best Haskell Programming websites on the web, and delivered to your email inbox each morning. To subscribe, simply provide us with your email address. About Blog Haskell is an advanced purely-functional programming language. An open-source product of more than twenty years of cutting-edge research, it allows rapid development of robust, concise, correct software. With strong support for integration with other languages, built-in concurrency and parallelism, debuggers, profilers, rich libraries and an active community, Haskell makes it easier to produce flexible, maintainable, high-quality software. Facebook fans n/a. Twitter followers 9,019. CA About Blog Monday Morning Haskell is a website dedicated to the Haskell Programming Language. The goal is to provide suitable material for Beginners in Haskell, as well as showing some more practical applications of the language. Cambridge/London, UK About Blog Neil Mitchell is a Haskell programmer. This blog is all about Haskell. Facebook fans 1,209,603. Twitter followers 575,841. USA, Europe, Israel, Canada About Blog Learn more about FP Complete's technology thought leadership. Get the latest on DevOps, Haskell Programming Language, and Software Engineering. Facebook fans 320. Twitter followers 5,406. About Blog Haskell Weekly is a free email newsletter about the Haskell programming language. Each issue features several hand-picked links to interesting content about Haskell from around the web. Facebook fans n/a. Twitter followers 3,012. Austin, TX About Blog Chris Allen loves to building, working on, and marketing software products. He teach & learn Haskell as well as work on Haskell libraries & infrastructure. Facebook fans n/a. Twitter followers 4,755. Chicago, IL About Blog Alexis King is interested in functional programming, static types, and programming language research, and she try to spend as much time as she can writing Haskell and Racket. Facebook fans n/a. Twitter followers 3,096. England, United Kingdom About Blog An aggregation of all online content related to Haskell, including Google , Reddit, Twitter, GitHub, HaskellWiki, Stack Overflow, Planet Haskell, Hackage. Novosibirsk, Russia About Blog Mark Karpov is a software engineer specializing on functional programming using strong static typing, in Haskell in particular. Facebook fans n/a. Twitter followers 548. Facebook fans n/a. Twitter followers 8,919. 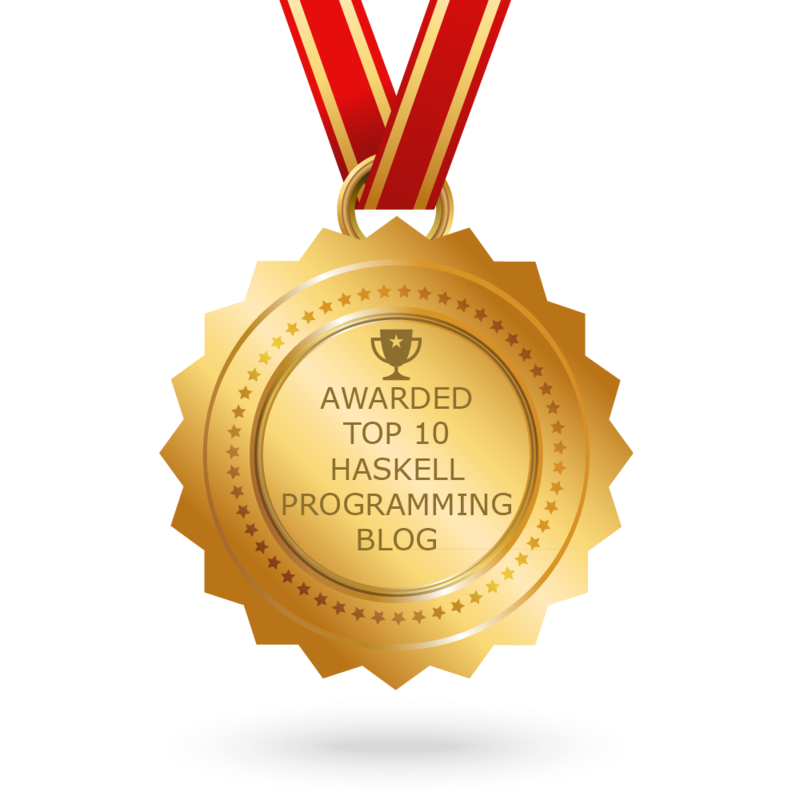 CONGRATULATIONS to every blogger that has made this Top Haskell Programming Blogs list! This is the most comprehensive list of best Haskell Programming blogs on the internet and I’m honoured to have you as part of this! I personally give you a high-five and want to thank you for your contribution to this world.